What do you remember about Plummers? 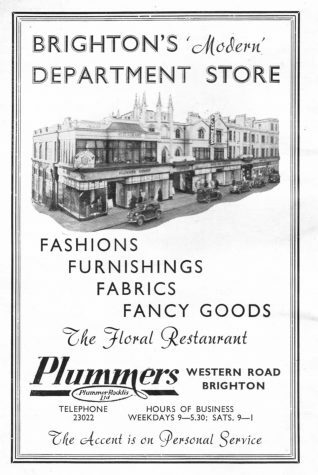 This is a 1952 advertisement for ‘Plummers’ department store in Western Road. Can you remember this shop? When did you shop there? Do you remember how much it cost. Maybe you had tea in the ‘Floral Restaurant’? Maybe you worked there or nearby at this time? If you can share your memories with us, please leave a comment below. Thank you – I was wracking my brain recently to remember the name of this shop. I shopped there with my mother in the 1950s and 60s and then on my own from the 60s until it closed. I have a vague memory of Plummer Rodis (spelling uncertain) being a name at some stage but I really am unsure about that. I shopped there so often that I cannot remember exactly what was bought, apart from clothing items. It could have included things like handbags and accessories but, as I said, my memory of what is vague – apart from one that just came to me. A raincoat in pale blue, that was very smart and the height of fashion in the early 60s. Isn’t memory amazing? This was when headscarves were still an absolute must and they always remind me of Audrey Hepburn, not that I ever looked like her. I might have been almost as slim for a very short period of time when I was about 12. I would have been far taller by then though and I never mastered chic for long, ah me. Thank you again for posting this and answering one of me questions about shops in the area. I worked at Plummer Roddis. I think it was 1957 and I would have been 16 or 17 at the time. I was on the Handbag department, and the lady who ran the department was Mrs Dare. 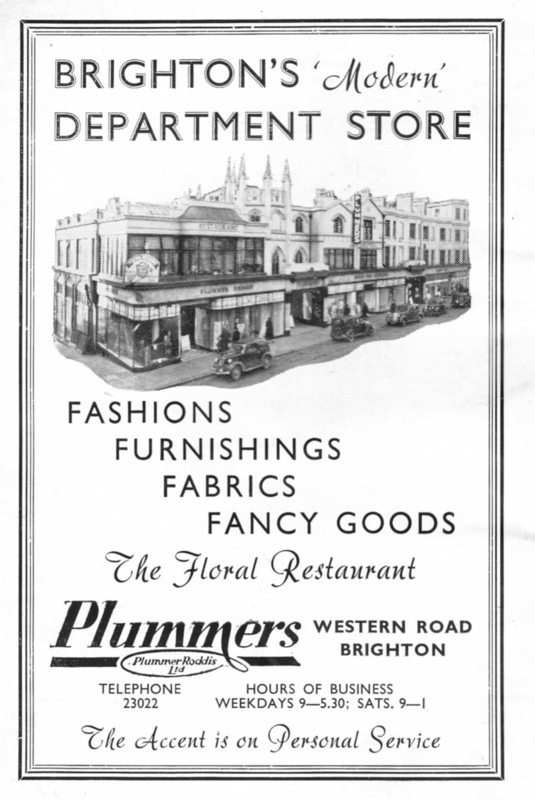 We used to visit Plummers in the 1960s during trips to Brighton. We ate in the restaurant and I remember the fish and chips and chocolate ice cream in little stainless steel bowls. Models used to walk between the tables modelling some of the fashions on sale. There were two sections to the department store and a wooden ramp between them. It was definitely THE store in Brighton at the time along with Selfridges on the other side of the street. A pity it is now all chain stores and cheap shops in those days Western Road had some style! Does anyone else recall Selfridges being on the north side of Western Road in the 1960s? I can remember Wades department store (and being taken there to see Father Christmas in the 1950s) but never Selfridges until, that is, Miss Selfridge opened in the revamped Churchill Square. Just before and during the early part of the War my mother Doris Sargeant ran the ‘Store Studios’ portrait studio in Plummer Roddis. Store Studios had franchises to operate photographic studios in many of the major stores at that time. After I was born my mother gave this up and set up on her account specialising in portraits and child studies trading as ‘Portraits by Paula’. I don’t know why she chose this name and never thought to ask her.